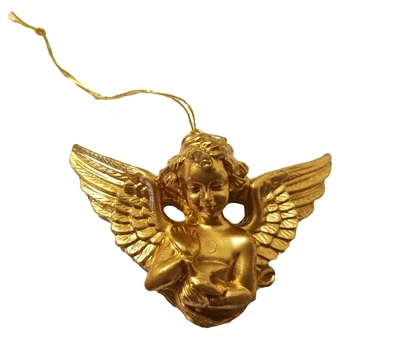 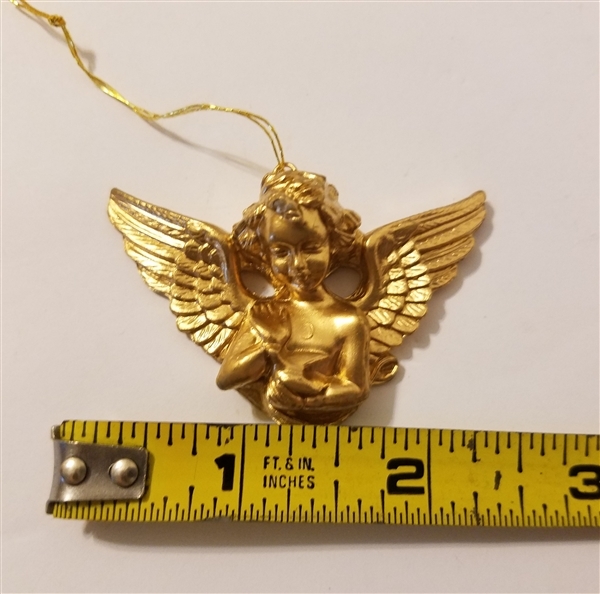 Miniature Cherub Angel with Bird Christmas Ornament. 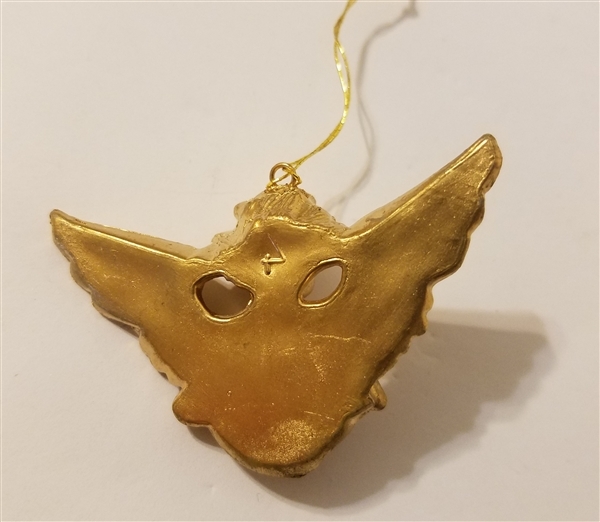 Gold plastic. Measures approximately 2-1/4 inches wide by 1-5/8 inches tall.